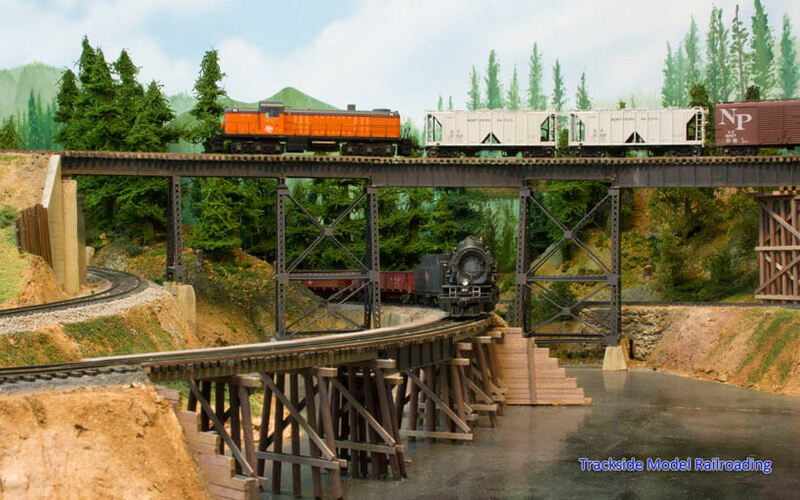 Tour George Wilhelm's, Grays Harbor Branch Line and the Lamb Timber Company in HO scale this month. His pike is set in Grays Harbor, Washington in the 1950s. He models the Northern Pacific's branch line to Aberdeen and Hoquiam and a freelanced logging railroad called the Lamb Timber Company. 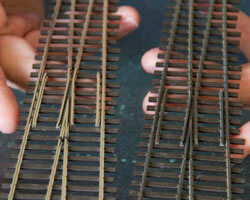 A video of the layout is included with the photos and article about the railroad. We get to visit a TT scale layout this month as well. 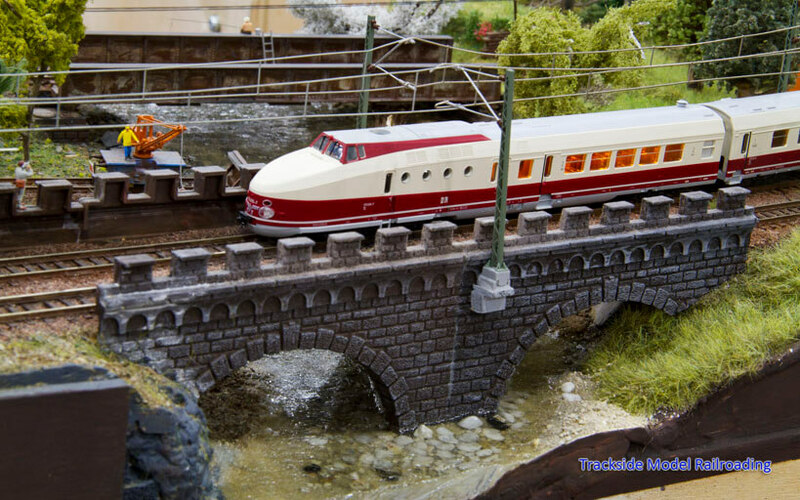 Enrico Scharlock's railroad features scenes from Germany, the western United States, and Japan. He and his family have lived in all three locations and want to share their love for TT scale. We share images of the layout as it was being built, as well as finished images. Most of them show the German section. 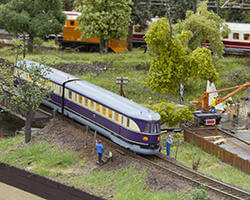 This article also includes a short video of the trains in action. Enrico’s method of building the layout in modules gave him the ability to be more portable than most layouts, and may give you some ideas if portability is important to you. 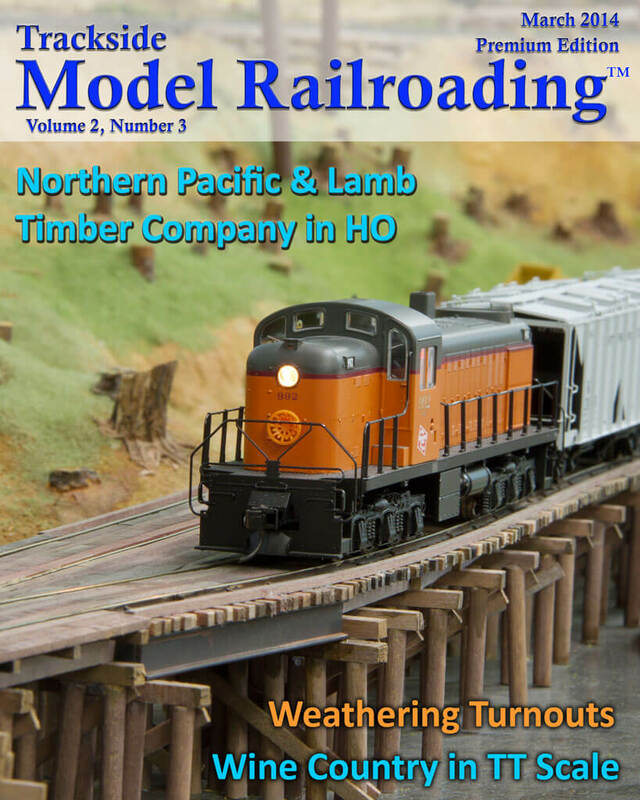 Also in our March 2014 issue is an article giving you step-by-step instructions with photo illustrations and video to show you how to weather your turnouts using a chemical process that will match the rail weathering we did last month. It is a very simple project that is suitable for newer modelers.